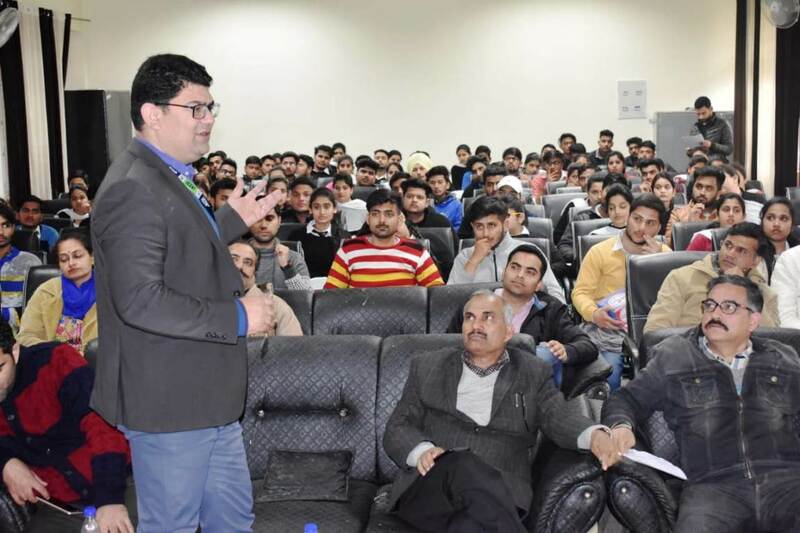 Srinagar: Jammu and Kashmir Entrepreneurship Development Institute (JKEDI) on Tuesday conducted a boot camp under J&K Startup Policy at Kathua in collaboration with the Career Counseling and Placement Cell of Government Degree College (GDC), Kathua. The spokesman said that camp was part of the institute’s campaign scheduled in all the districts of the State under the recently introduced Startup policy of the Government of Jammu & Kashmir for which JKEDI has been designated as the Nodal Agency. Principal GDC Kathua, Prof. Kartar Chand appreciated the efforts of Career Counselling and Placement Cell of the college in organizing such events for the benefits of the students. He assured the JKEDI, that students of GDC, Kathua shall definitely come up with innovative ideas for availing the golden opportunity to develop as entrepreneurs with financial support from JKEDI. The boot camp was conducted by JKEDI team comprising of Syeed Firdous, Project Manager JKEDI, Dr Amit Sharma, District Nodal Officer Kathua, Goutam Saini, Assistant Faculty JKEDI and Dr Sheikh Fayaz, Consultant. Syeed Firdous motivated the students for better growth as entrepreneurs with their innovative ideas. He explained in detail the J&K Startup Policy and exhorted upon the students to avail its benefits. Dr Fayaz quoted many examples of great scientists and innovators during his deliberations. He talked about economic growth in Europe and other developed countries through the innovative ideas of their scientists and successful entrepreneurs. The main objective of organizing such boot camps is to bring mass awareness about the Startup policy and to inculcate the spirit of innovation among the youth to give a flip to the conversion of innovative ideas into profitable business ventures. Convener Career Counselling Cell, GDC Kathua appreciated the efforts of JKEDI’s Kathua team in providing awareness to the students of the college regarding J&K Startup Policy. A large number of students and faculty members were present. Many innovative ideas were also received from the participant students during the boot camp.